The building sector is often referred to as “the 40% sector” as it uses 40% of the world’s resources, 40% of all energy and creates 40% of all waste. In Russia this percentage is also high, and the impressive energy consumption by both the housing and the building sector is aggravated by huge heat losses that reach up to 60% of net energy consumption. According to current Russia’s policy of energy efficiency growth our GDP’s energy intensity is to decrease by 40% by 2020, and both sectors are to play a crucial role in this process. According to McKinsey’s Pathways to an Energy and Carbon Efficient Russia report, energy saving in buildings is Russia’s most substantial energy saving and emissions-reducing reserve, while implementation of cost-efficient measures in this field may decrease total energy consumption in the country by 13%. In the past few years a number of such projects have been carried out in Russia. They imply the efficiency increase of already existing buildings as well as the development and construction of new ecobuildings. In St.Petersburg projects aimed at increasing energy efficiency of buildings have been carried out under the initiative of governmental bodies as well as on the grassroots level. This experience is accumulated and distributed by Friends of the Baltic , a St.Petersburg based environmental NGO. Multiple reconstruction projects aimed at residential buildings constructed in the 60s with the use of novel German technologies helped increase both the comfort of living and reduce thermal energy consumption by 30 to 40%. On the city level this kind of projects remains scarce. They demand large one-time investments, while there is no talk about self-repayment due to the lack of any post-project planning. The energy saving reserve has been used by several housing communities with financial incentives in mind. Having set up heat regulating systems and heat meters they became able to pay for the actual thermal energy consumed, which is significantly less than paying by the regular tariff. Energy saving thus becomes profitable and people use energy in a more rational way by implementing all the existing energy saving reserves thus decreasing net consumption. The money saved enables them to implement further energy saving measures – to insulate windows, walls and roofs and install other energy saving devices. of other technical novelties. Air recuperation means that the warm air while leaving the building warms up the cold air coming in. At 20 degrees Centigrade below zero outside a warm house like that would only lose 1 degree per day if left unheated. The frosts are now officially over and the first results from the ecohouses’ first winter are soon to come. AECOM, an American construction company has been working in Russia for several years now with the implementation of advanced American energy saving building technologies. The company is involved in the building of several hotels, plants and even a recreational zone in the south of the country. Similar projects carried out in the US and in Canada have proved cost-efficient and the company sees a great future for them on Russian territory, even though most of the projects are still being developed and project documentation examined. According to AECOM’s Vladimir Randjelovic, ‘Russia has a vast energy saving potential estimated at a minimum of 40% and is a great place to implement energy efficient technologies.’ Energy saving objects will become profitable in the long run due to minimized maintenance costs. ‘A dollar saved is a dollar earned’ adds the expert. Soon a new ecohouse will appear in the center of Moscow. 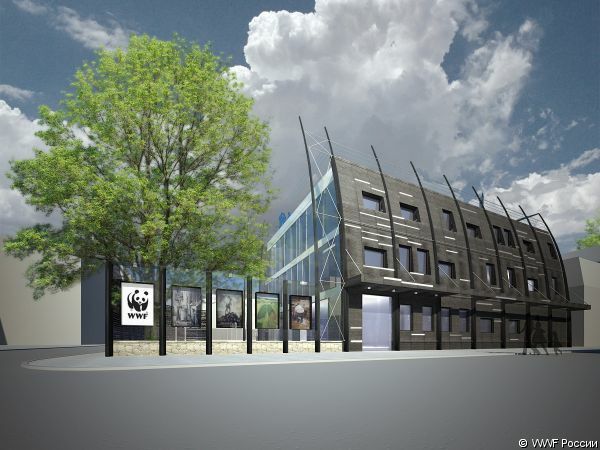 This ‘Panda house’ is a project by WWF and it has all the chances to kick-start a new era of ecobuilding in Russia. The ecohouse will also serve an educational purpose as it will be open for visitors. The beginning of construction works is scheduled for this coming summer and it is due just a year afterwards. and minimization of the house’s ecological footprint. higher in winter time and colder in summer. Using the preheated and precooled air will help reduce energy consumption almost 10-fold. Another innovation if the system of grey water reuse. Grey waters will be accumulated in special receptacles and treated to reach the quality of technical water to be further reused in the house. There will be a parallel pipe next to the one with drinking water. The use of both of them will help save around 1 cubic meter of drinking water per day. Among other technical solutions are the solar collectors placed on the roof. The heated water will be accumulated in the tanks and then mixed with the water from the regular supply system. Thus, water consumption will decrease, especially in summer. working projects of hydro energy installments that produce energy based on that of technical water flows (i.e. grey waters). There are many successful examples all over the world of how eco-friendly construction technologies help us significantly decrease buildings’ maintenance cost and reduce the consumption of natural resources. As the result, the negative impact on the climate is reduces, not to mention the increase of the quality of living inside those buildings. 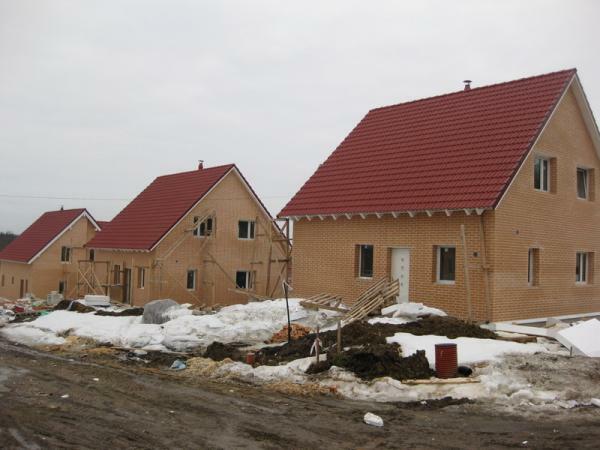 Russia remains a vast but still hardly used space for the broad implementation of eco-solutions for buildings. RSEU strongly advocates the all-sided support and implementation of energy efficient technologies in our country as one of the important tools of energy intensity decrease and, thus, the increase of energy efficiency in the construction and housing sectors.